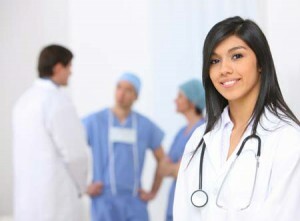 With tough entrance examinations and stiff competition, securing admission to medical schools in India has become a tall task, forcing many Indian students to take up medicine studies abroad to realize their “Doctor dream” Though countries like USA, UK, Canada, Australia etc remain the first choice of students and parent seeking world class medical education, one should be realistic that it can be extremely challenging in term of time, fees and work load. Moreover to get admission in these institutions students have to undertake stringent entrance tests. 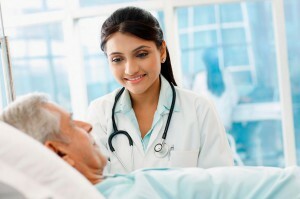 As a beacon of hope, Several top notch medical institutions in Europe and South east Asia are opening its door to Indian students, where medicine education is not only economical, the entrance requirements are also less cumbersome, notwithstanding the excellent education system and infrastructures that are truly international. Countries such as Philippines, China, Malaysia and many European countries like Bulgaria, Ukraine, Russia, Hungary, Poland Armenia, Denmark, Latvia, and Lithuania Denmark are prominent among them. The Philippines, in the recent times, have become one of the most favored destinations for Indian medicine students, owing to high education standards of its institutions. The education system of Philippines follows the US system with English as the medium of instruction. For Indian students seeking to study medicine in Philippines, the duration of study is almost the same as in India and that too at an affordable cost. The tropical climate and hence the disease conditions and occurrences are similar to India, which enhance the efficiency of the medicine students on par or even better than an Indian medicine graduate. There are few good medical schools with own hospitals for teaching and internships which are managed by Christian missionaries listed by WHO and Education Council for Foreign Medical Graduates (ECFMG) as approved medical schools which allow students to appear for the USMLE. Notable among missionary run medical institutions in Philippines is St. Paul University Philippines, founded by the Sisters of St. Paul of Chartres more than a century ago. Situated in the beautiful city of Tuguegarao, St. Paul University flourishes as a formidable institution in the formation of Medical doctors geared towards the provision of optimum and affordable health care programs where knowledge and experience are perfectly combined to continuously infuse medical students with relevant learning opportunities. St Paul University Philippines holds autonomous status as a mark of credibility for strictly adhering to government rules and regulations and also for achieving excellent academic output. The whole environment at the university gives confidence to parents, sending their wards to study medicine in a distance land. Towards expediting and simplifying admission process for students from India and adjoining countries St. Paul University Philippines has set up its south Southeast Asian regional office Kochi, Kerala which is managed by Santa Monica study abroad Pvt. Ltd. This entry was posted in Study Medicine in Philippines on June 7, 2016 by Ronnie Fredrick Thimothy.